In this tour, you visit the best and only mountain resort in Asia. Tateyama Kurobe Alpine Route is designed for touring part of the Northern Alps which extend across Toyama and Nagano Prefectures, a distance of over 90km. This route allows you to cross part of the Alps focusing on Tateyama. Simultaneously, you can enjoy a magnificent view of Murodo. 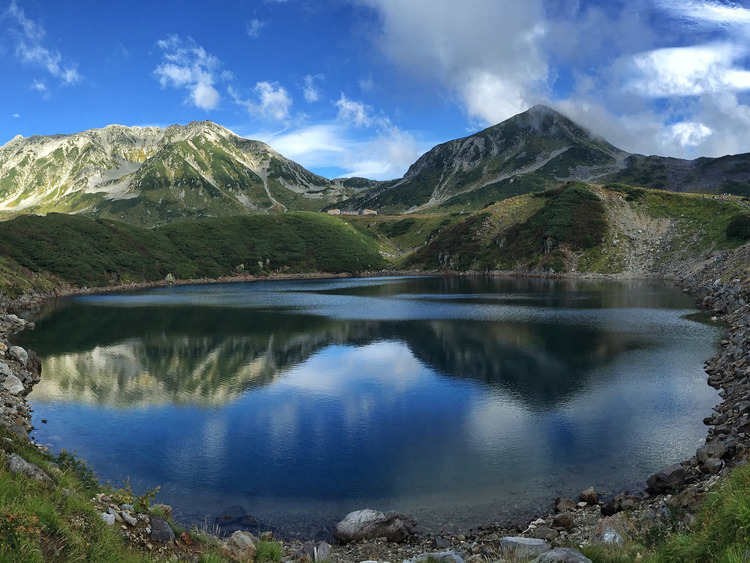 At 2,500 m, Murodo is the highest point on the Tateyama Kurobe Alpine Route. There are many places that you can take a walk to, such as Mikurigaike. You can also see “Raicho” a kind of ptarmigan and drink delicious spring water. The bus ride depends on the order of the itinerary. Space is limited, therefore we strongly suggest to book early. Due to travel season in Japan, heavy traffic jam will be expected. There is no place to exchange money in the port, preparing Japanese Yen is strongly recommended. The clear view of the landscape is subject to the weather conditions. Wear low-heeled, comfortable walking shoes. Snow wall could be seen only from mid-april to mid-june.this tour will only use bus as transport. Lifts and gondola will not be used. This tour does not include visiting kurobe area.? Make sure to wear warm clothes.